Joe Mazzari (singer/songwriter/ guitarist) and Dixie Deadwood (drums/back-up vox). 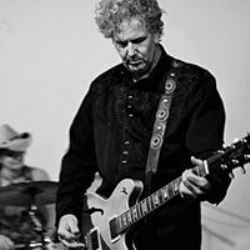 Joe is best known to UK and EU audiences from multiple recordings with Johnny Thunders/Heartbreakers fame. Dixie Deadwood, by way of Clarkdale, Mississippi, is a seasoned interpreter of hill country “Deep Blues” and longtime drummer for the late blues legend Leo “Bud” Welch.